Outlife is a Learning and Development company specializing in ​ Outbound Training, Team Building, Outdoor, Adventure and hands-on Experiential Learning Programs in India. ​We design and deliver action based learning approach to Outbound Training, Leadership Development, Team Performance Coaching, Team Building, Behavioral Skills Training and Employee Engagement Programs for Corporate Companies and Institutions. Our Mission is to enhance Potential and Performance for Individuals, Teams and Organizations through hands-on experiential learning programs. 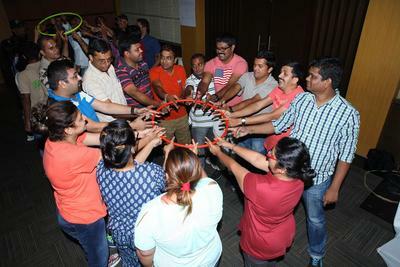 Outbound Training is an action and activity based behavioral training intervention for employee development based on experiential learning methodology of "learning by doing", "hands-on experience" and includes outdoor, adventure, team building activities that engage participants to bring out the desired learning outcomes. Outbound Training programs involve outdoor, adventure and challenging Team Activities where participants go through obstacles and have to work together as a team to overcome challenges and learn from their experience, feelings and reflection. ​Each Outbound activity has a structured approach to bring out specific learning's, Invite behavioral change and connect them back to the real life work areas. Outbound Leadership Development programs includes all those leadership and managerial skills that are imparted through experiential learning methodology to enhance the capacity of an individual or organization to lead well. 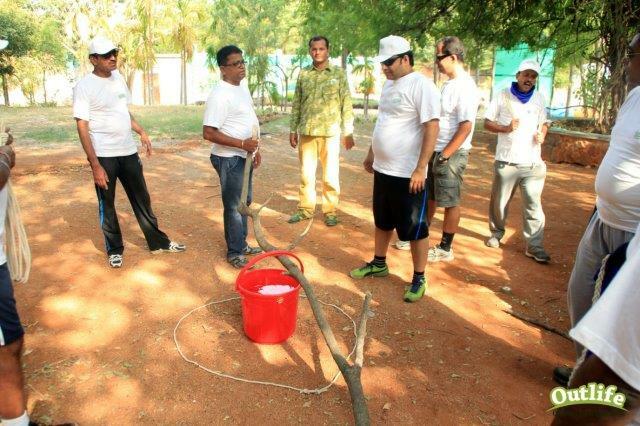 ​Outbound Leadership programs are often also referred to as Outdoor Management Development OMD . To develop Leadership and Managerial Skills we combine a mix of Outdoor Leadership Training, Management Concepts, Business Simulations, Psychometric Instruments and Team Building Activities to help people learn experiential and discover their leadership potential. 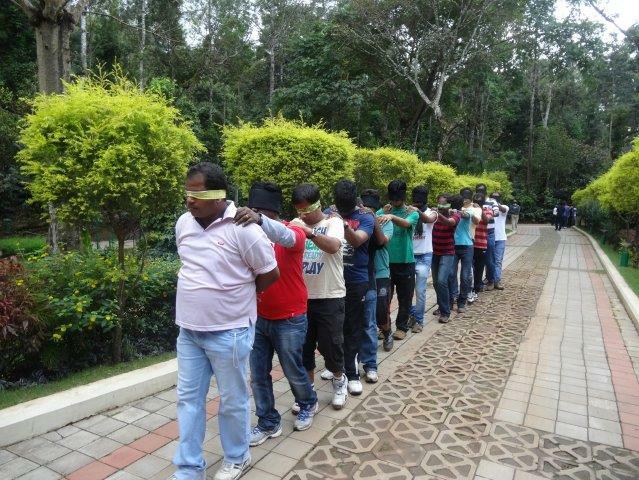 Outlife is a leading team building training companies serving pan India. Our Team Building activities brings people together by encouraging collaboration and teamwork. ​Through Team building games, teams get to build skills like communication, planning, problem-solving and conflict resolution. ​The Team building games and Team Bonding activities help facilitate long term team cohesion through fostering genuine connections, deeper discussions and understanding. Participants are asked to reflect about the behavior implications of these activities back at their workplace and encouraged to generalise on the similarities and make course corrections or bring change. Our approach to team performance coaching starts with a strong level of alignment to the organisational vision and strategy, and how the Team is planning to work towards that. Sometimes we re-visit the purpose and mission of the Team, and if necessary support the Team to create a Team Plan with objectives in the areas of strategy, finance, marketing, operations, customer service, stakeholder management etc. Behavioural skills training or Soft Skills Training is an evidence-based approach for training employees to implement behaviour change and related procedures to enhance efficiency and performance at the workplace. ​Most behavioural skills are to do with how employees behave emotionally and socially at workplace. We use the Social Emotional Learning framework with experiential learning methodology to impart behavioral skills training in our programs. Engagement is the measurement to which employees are motivated and dedicated towards their work. At Outlife we facilitate employee engagement activities and Team Engagement Ideas that are designed around motivating employees, connect them to each other to enhance interpersonal relationships and to the company values and culture. The Team Outings and Recreational programs focus is on creating engagement with fun and outdoor team actvities that result in motivation a feel good factor. Usually lasts for from 3 hours to 2 days. 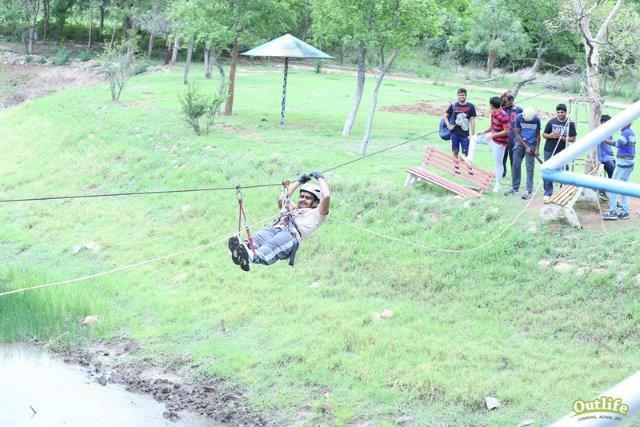 ​Team Outings are mostly employed for corporate offsites, Employee Engagements in the form of Team Day outings, Outdoor and Corporate Adventure Outings. The unanimous feedback is that every aspect of the Outbound event was fabulous, and everyone starting from the senior most Director to the junior most employee are all praises for the way the 2 day program was conducted and for the facilities organised which were of exceptional quality. It is very uncommon to not receive even a single complaint or for that matter a concern from such a diversified, large and distributed team and you made it possible. They are all praises for the programs, the coordinators and facilitators, the arrangements, the sequence of events, the briefing sessions, the food, the accommodation to name a few. Outlife is Exceptionally good in OEL programs. ​I profoundly offer my thanks for having made this program a great success. We look forward to partner with you more often in the future.